"Lee's music shows that she is a considerable talent, capable of creating vivid musical images." "the imaginative and rigorous writing of Joanna Lee, whose 'Chansons Innocentes', assured and confident in the composition, would have flattered any composer, let alone a student . . . one of the most successful [commissions] I have ever heard in 40 years of reviewing." Described by The Guardian as "a considerable talent", Joanna Lee is currently composing an opera for 3-5 year olds in conjunction with Opera Up Close and Gallions Primary School. London Symphony Orchestra will record her music in 2019 as part of ‘Panufnik Legacies’. Joanna’s recent commissions include a community opera for 1,000 performers for Surrey Arts and pieces for Nicholas Daniel in the Aldeburgh Festival, London Music Masters, Orchestra of the Swan and a children’s opera for English National Opera directed by Katie Mitchell, with co-productions by Opéra National de Paris and the Royal Swedish Opera. She was composer mentor for the BBC Proms Inspire scheme 2018. In 2015, she was commissioned by the BBC Proms, for which she composed a piece for Hilary Summers and Birmingham Contemporary Music Group conducted by Frank Ollu as part of their celebrations to mark Pierre Boulez’s 90th birthday. Additional projects include a residency at Aldeburgh composing a choral piece for Aldeburgh Music Club to celebrate 60 years since their founding by Benjamin Britten. She was BCMG Apprentice Composer-in-Residence for 2012/13, mentored by Oliver Knussen. Joanna completed a PhD in composition at Birmingham Conservatoire in 2015, supervised by Richard Causton and Edwin Roxburgh, and was awarded Honorary Membership by the Conservatoire in 2013 for outstanding achievement. 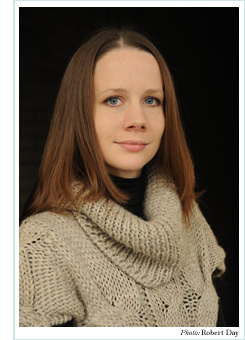 She has studied on the Britten-Pears Contemporary Composition course, LSO Panufnik scheme and Jerwood Opera course. Joanna has been awarded the PRSF Composers’ Fund, John Clementi Collard Fellowship and Stephen Oliver Award.